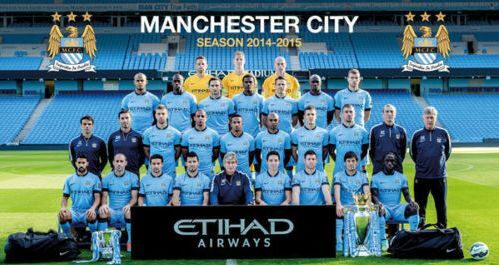 City started the 2014/15 season as Premier League Champions and League Cup holders. However they were immediately put at a disadvantage both domestically and in Europe as UEFA controversially hit City with sanctions for what they deemed non compliance with Financial Fair Play rules. The Blues spending in the transfer market was to be limited to £49M net, plus they would only be allowed to name 21 players in their European Squad, in addition the club would also have to cap their Champions League squad wage bill at their 2013/4 levels for the next two seasons. There was also a fine which could be as little as £17M dependant on the compliance with the sanctions. The wage bill at The Etihad was cut as Joleon Lescott and Gareth Barry were released at the end of their contracts, in addition Costel Pantilimon, Alex Henshall and Alex Nimley were also released. Players coming in during the Summer were Bacary Sagna joining City on a free from Arsenal, Brazilian holding Midfielder Fernando who cost £12M from Porto and Argentinian keeper Willy Caballero who moved from Malaga for around £6M Three hours before Pablo Zabaletta, Sergio Aguero and Martin Demichelis were to play in The World Cup Final for Argentina, The Blues kicked off their pre-season games with a match at Dens Park against Dundee, City fielding mostly EDS players with a smattering of first teamers, including Fernando and Caballero making their debut, were beaten 2-0 in a typically drab friendly. City’s mini tour of Scotland saw a similar depleted squad beat Hearts 2-1 at Tynecastle. The Blues then flew out to America where they first played Sporting Kansas, although still awaiting a work permit, Nigerian ‘wonderkid’, 17 year old Kelechi Iheanacho, was the star of the show for City as Pellegrini’s men won 4-1. There was some bad news however, with the news that Alvaro Negredo could miss the first three months of the season with a foot injury. City then played three games in the Guinness International Champions, the first in Pittsburgh, where despite still having most of the first choice team on holiday, City beat AC Milan 5-1. Moving on to the iconic Yankee Stadium in New York The Blues lost 3-1 on penalties to a strong Liverpool team after drawing 2-2 after 90 minutes, the game saw first pre-season outings for Edin Dzeko and James Milner who started, and sub appearances from Joe Hart and Yaya Toure. The last game of the tour was played in Minnesota and City drew 2-2 again after 90 minutes and then lost 5-4 on penalties to Olympiacos. On The Blues return to the UK, after an injury blighted stay at The Etihad, Jack Rodwell moved to Sunderland for a fee of around £10M. Then after signing for New York City FC, Frank Lampard moved to City on loan, pending City’s MLS franchise making their debut in the US League in March 2015. The Community Shield at Wembley saw Pellegrini field a very under strength side and City were beaten 3-0 by a strong Arsenal team. In the week before the start of the season it was one in and one out. French international Centre Half Eliaquim Mangala joined City for £32M, and Javi Garcia moved to Zenit St. Petersburg for £13M. The season opener was a trip to Newcastle, City’s starting line-up saw the absence of Aguero, Fernandinho, Zabaleta, Milner and Mangala due to lack of pre-season fitness, however The Blues put up an excellent performance to beat ‘The Toon’ 2-0. City’s first big test of the season was a home game against Liverpool and they gained major plaudits from the media with a fantastic 3-1 win against The Scousers. With the International break loomimng City ‘slipped on a massive banana skin’ as they sensationally lost 1-0 at home to Stoke. City had finished their buying early in the transfer window, however on the last day they looked to balance the ‘Financial Fair Play books’ as they agreed a deal with Valencia to take Alvaro Negredo on a one year loan with an obligation to buy him for circa £20M. In addition Micah Richards moved to Fiorentina on a season long loan, Emyr Huws joined Wigan for an undisclosed fee and John Guidetti joined Celtic on loan for the season. The Blues travelled to Highbury without Fernando and Jovetic due to injury and Yaya Toure who arrived back into the UK the day before. Despite a poor refereeing display by Mark Clattenburg City put up a great display to draw 2-2 with Arsenal. Despite a great performance in Germany City’s first game in the Champions League ended in defeat, as Bayern Munich snatched a last minute winner to win 1-0. A tough week ended with a home game against top of the table Chelsea, and despite having Pablo Zabaleta sent off The Blues drew 1-1 as former Pensioner Frank Lampard came off the bench on his home debut to grab the equaliser for Pellegrini’s side. In the Capital One Cup 3rd Round Sheffield Wednesday must have thought they had a chance as the game was goalless at half-time, however City powered in seven second half goals to beat The Owls 7-0. In the league The Blues put up a great performance at Hull, winning 4-2, however in The Champions League Pellegrini’s side, again couldn’t produce their domestic form and were lucky to come away from the Etihad with a point as they drew 1-1 with AS Roma. City moved into an International break with another impressive away display beating Aston Villa 2-0. With no major injuries reported after the break, City played Tottenham at The Etihad and Sergio Aguero put up a world class display to score all four goals and miss a penalty as The Blues won 4-1 in an entertaining game which also saw Joe Hart save a penalty. The Champions League meant a trip to Russia and a so called match behind closed doors with CSKA Moscow being punished for racist fan chants, and despite all City fans being unable to see the game some 500 Moscow fans were controversially let into the ground under the shroud of ‘guests of UEFA’ despite City leading 2-0 at the break some worryingly controversial refereeing decisions saw the game end 2-2. The week got worth for Pellegrini as the Blues lost 2-1 at West Ham in the league and then lost 2-0 at home to Newcastle in the Capital One Cup. 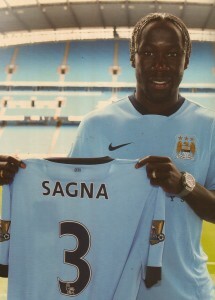 With three games without a win a great 1-0 win at home to Manchester United at The Etihad in the derby boosted the fans, however three days later amongst various protests against UEFA, City were poor and finished with just nine players on the pitch as they lost 2-1 against CSKA Moscow which made qualification into the knockout stages highly unlikely. Back in the League and City had Sergio Aguero’s brace to thank in a disappointing 2-2 draw at relegation favourite’s QPR. Another International break seemed to help The Blues as, on their return, they beat Swansea 2-1 in an entertaining game at The Etihad. In the penultimate Champions League group match Pellegrini’s side had the unenviable task of beating Bayern Munich at The Etihad to give them at least a chance of advancing to the knockout stages. With just five minutes left The Germans were 2-1 up and it looked like City were out of Europe, however, not for the first time ‘Kun’ Aguero came to the rescue scoring two goals in six minutes to complete his hat-trick and an unlikey 3-2 victory. City were still third in the Premier League and faced a tricky trip to second placed Southampton, The Blues turned on the style winning 3-0, however faced a defensive dilemna for their next game with Vincent Kompany having to leave the field with a hamstring injury and Mangala facing a one match ban for being sent off. It didn’t affect the City side as they beat Sunderland 4-1 with another world class performance from Sergio Aguero, who scored another two goals, City were now second in the league, six points behind Chelsea. Off the field, City’s Annual Report for 2013/14 showed that the Blues should not fall foul of any future sanctions from UEFA under the FFP regulations, the figures showed a turnover of £347M with an overall loss of £23M, this figure also included the £16M Ciy paid UEFA for the FFP fine they imposed on The Blues in May. City then made it five wins on the trot as they beat Everton 1-0 at The Etihad, however the victory was tempered somewhat as Sergio Aguero limped off the pitch in just the third minute with a knee ligament injury that could see him out of the side for 4 to 6 weeks. Adjacent to The Etihad work had been intense over the last few years to transform a run down brownfield site into City’s new City Football Academy CFA. On the 8th December 2014 it was officially opened. 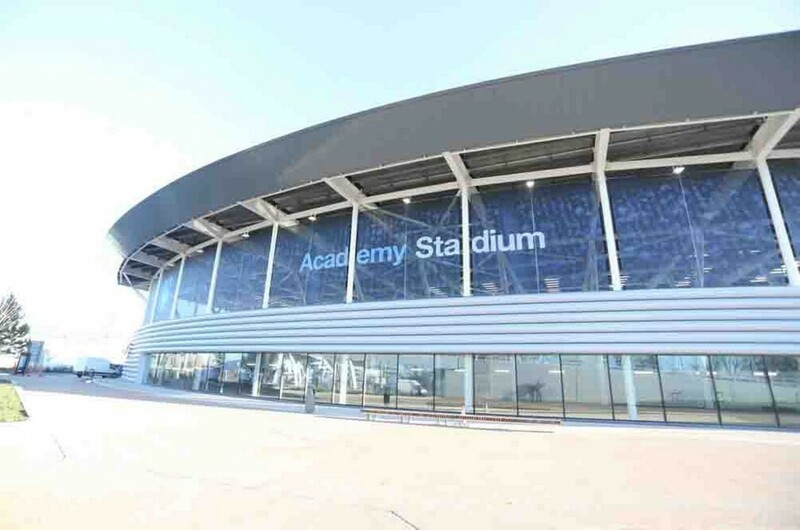 The site has 16.5 football pitches, accomadation for first team and academy players and a fantastic 7,000 seat ‘Mini Etihad’ where the Academy and Ladies teams will play their games, the £200M project was hailed as possibly the best training facility in the world. With Sergio Aguero, Vincent Kompany, Yaya Toure and David Silva out of the starting eleven through injury and suspension, The Blues travelled to Rome knowing that qualification for the Champions League knockout stages would need a humongous effort from the team, and, they didn’t let the fans down as they beat Roma 2-0 to finish second in the group and secure qualification. Back in the league City were gradually cutting Chelsea’s lead at the top as they beat Leicester City 1-0 at The King Power Stadium. However with injuries to Dzeko and Jovetic it meant The Blues played Crystal Palace at The Etihad with basically a 4-6-0 formation and with no strikers they easily beat The Eagles 3-0. The Festive period arrived and City equalled a club record of nine wins on the trot in all competitions as again without any strikers they won 3-1 at a very snowy West Brom on Boxing Day to go within three points of leaders Chelsea. Three Days later with the knowledge that Chelsea had drawn earlier in the day City led Burnley 2-0 at half-time at The Etihad, however The Clarets clawed themselves back into the game to draw 2-2. On New Years Eve the club announced that Frank Lampard’s loan had been extended to the end of the season, and the veteran came off the bench to head home the winner in a 3-2 win over Sunderland in Manchester on New Years Day, a victory that took City level on points, goal difference and goals scored with Chelsea. The FA Cup brought up a possible banana skin with Sheffield Wednesday drawn against City again, the Owls put up a great performance, however The Blues snook through to the fourth round with a 2-1 win at The Etihad. Yaya Toure flew off to the African Cup Of Nations with the knowledge that he had won his fourth successive CAF African Footballer of the Year award, however it would mean City started against Everton at Goodison Park without Yaya, Vincent Kompany, Sergio Aguero and Edin Dzeko. The game ended 1-1. 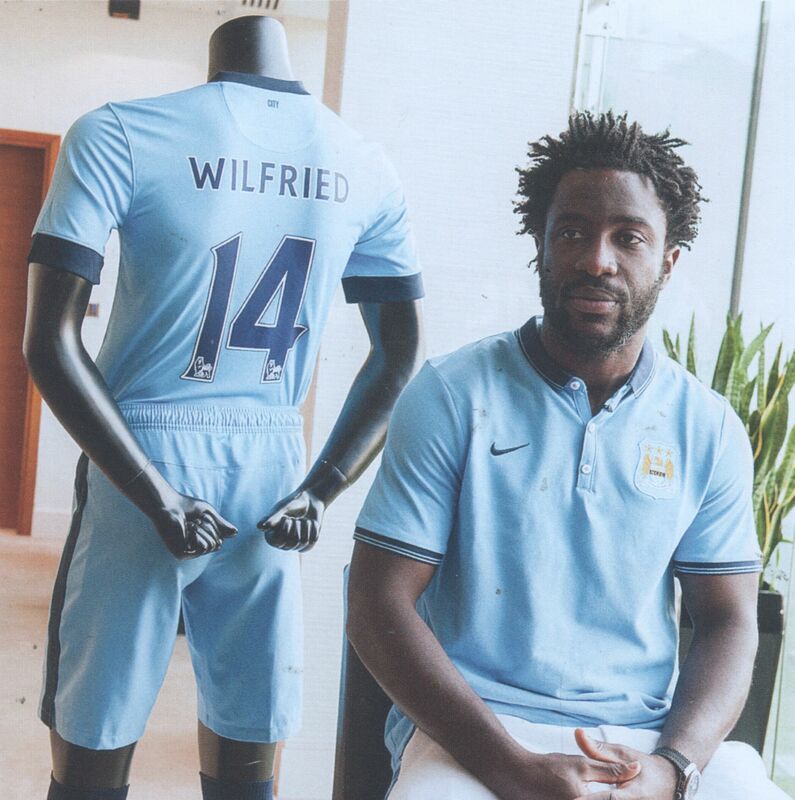 The transfer window was open and it was obvious that City had been one striker down since the beginning of the season, however they made a major statement by buying the prolific scoring Ivorian forward Wilfried Bony from Swansea for an initial fee of £25M. With Yaya and Bony at The African Cup of Nations and news that Samir Nasri had sustained an injury that could keep him out for up to a month City put up a display bereft of creativity against a good Arsenal team at The Etihad, The Gunners were deserved 2-0 winners. The Blues then flew out to Abu Dhabi for, what many fans considered, a badly time friendly against Hamburg SV. City won 2-0 but did not return to the UK until 20 hours before they were to play their home FA Cup 4th round tie against Middlesbrough and a jaded looking side put up a poor display as the Geordies won 2-0. With Chelsea five points ahead of City, The Blues visited Stamford Bridge with some trepidation, however they put up a great performance and deserved more than the 1-1 resultant score. A week later and Pellegrini’s side failed to win for the fifth time on the trot as they drew 1-1 at home to Hull thanks to a last minute equaliser from James Milner. The pressure was on the City boss as City slipped to seven points behind Chelsea with 14 games to play. A much better display at Stoke saw City win 4-1 and then reinvigorated by Yaya Toure and Wilfried Bony’s return from the African Cup of Nations where they had helped The Ivory Coast lift the trophy, The Blues easily beat Newcastle 5-0 at The Etihad. Back in Europe and Pellegrini’s tactics were questioned again as City were over run in midfield as he started two upfront against Barcelona, however despite two early Suarez goals, City held on for a 2-1 defeat with a small chance still in the return leg in Spain. City were now five points behind leaders Chelsea and with Mourinho’s side playing in the Capital One Cup final, the Blues had a chance of reducing the gap to two points, however at Anfield Liverpool won 2-1 with Pellegrini’s continued use of 4-4-2 being criticised by certain fans and the media. An unconvincing 2-0 victory over Leicester at The Etihad was followed by a shock 1-0 defeat at relegation threatened Burnley and then the inevitable exit from The Champions League occured as City were ouclassed in Barcelona and lost 1-0. With just a faint hope that Chelsea would have a major slip up in the last quarter of the season, Pellegrini urged the side to show the form that had won two titles in three years and indeed there were signs of this as they beat West Brom 3-0 at home. another unwanted international break broke up any chance of setting in motion some momentum, and City lost their next game 2-1 at Crystal Palace to fall to fourth place in the league. The pressure mounted on Pellegrini as Manchester United inflicted a 4-2 defeat at Old Trafford, City had now slipped four points behind third placed United. With just six games to play The Blues moved within one point of United with a comfortable 2-0 win over West Ham at The Etihad despite Captain, Vincent Kompany missing the game through injury. Yaya Toure joined the injured Kompany as he left the field early with a hamstring injury as City beat Aston Villa 3-2 to move back over United. At White Hart Lane The Blues beat Tottenham to secure a top four finish, however on the same day Chelsea were confirmed as Champions and so with just three games left to play City were chasing the runners up spot. Pellegrini’s side sealed second place with two great performances, beating QPR 6-0 at The Etihad and then winning 4-2 at Swansea. With one game left to play the media talk surrounded Yaya Toure who supposedly wanting away from the club and Pellegrini, with rumours about various managers being tipped to take his place next season. 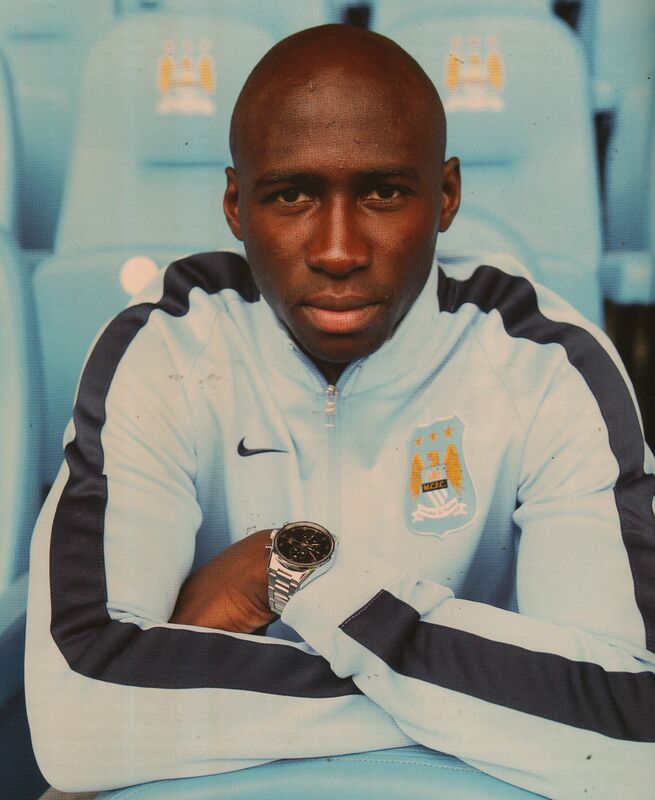 City finished the season with a sixth win on the trot, beating Southampton 2-0 at The Etihad. Joe Hart picked up The Golden Glove and Sergio Aguero the Golden Boot. The Blues embarked on an end of season tour to North America where they beat Toronto 1-0, however their second game at Houston was called off due to extreme floods.